Limited Edition of 250 copies, in 4-panel digipak. Includes bonus track by FADERHEAD. 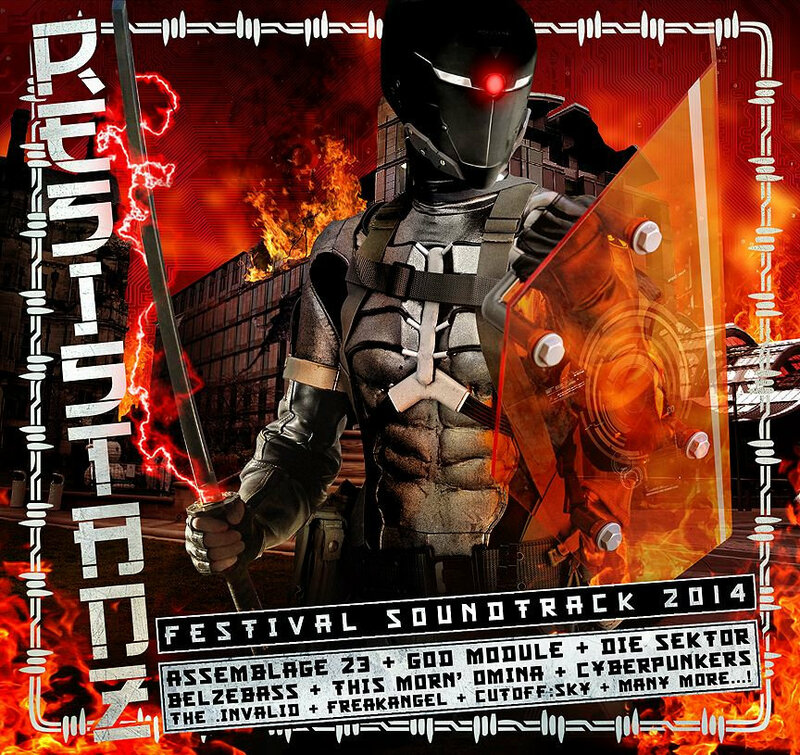 The 4th annual official compilation album of UK festival Resistanz – containing 12 exclusive tracks and featuring ASSEMBLAGE 23, MODULATE, DIE SEKTOR, THIS MORN’ OMINA and many more! The 4th installment of DWA’s continuing compilation album series for Resistanz – the fastest rising industrial music festival in the UK – features no fewer than 12 completely exclusive tracks, including songs and collaborations recorded especially for this album! Brand new tracks from MODULATE, BELZEBASS, CYFERDYNE and WORMZ, exclusive mixes from ASSEMBLAGE 23, THE .INVALID and GOD MODULE. The first ever remix of THIS MORN’ OMINA. The last ever recorded track by INCUBITE. The first appearance on CD of CYBERPUNKERS’ “Thunder”. A collaboration between FREAKANGEL and CUTOFF:SKY. Theme songs for the festival written by NITRO/NOISE and FADERHEAD. Another epic listening experience. Another limited edition of 250 in 4-page digipak!